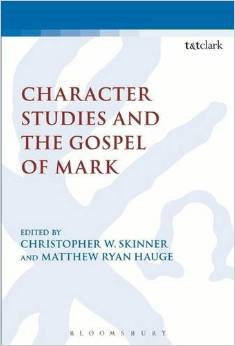 [T]he contributors—all pacesetters in Markan narrative criticism—offer penetrating contributions to the field, contributions that NT narrative critics, who especially study characterization, will discuss for years to come. In essence, they accomplish what all researchers strive to accomplish; they advance their field, provide new methods for research, and open clear avenues for others to travel. What more could a monograph offer? This is where I would normally encourage you to buy a copy but it costs $117!!! Let’s be honest for a second….who has that type of money? However, I am told that the paperback will be available for under $40 in just a few months. THEN you can go buy a copy. Our thanks to Dr. Campbell for both his positive assessment of the book and for his critical engagement with each chapter. Looking forward for the the paperback edition as I am preaching on Mark verse by verse. Thank you.